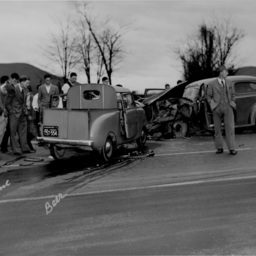 Photograph showing people coming from a crashed Monumental Motor Tours bus. 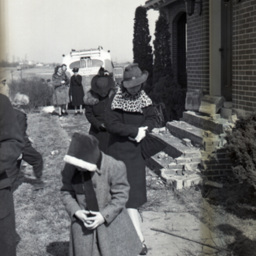 The crash was located at the Burgess Nelson house on the southern end of Mt. 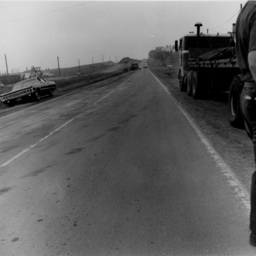 Jackson, the present site of Holtzman Oil Corporation. 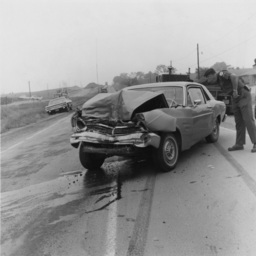 The date of the incident is unknown. 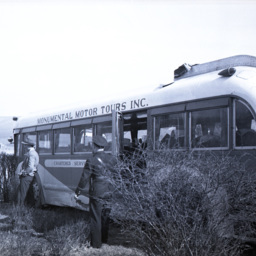 Photograph showing a Monumental Motor Tours bus crashed into a shrub. 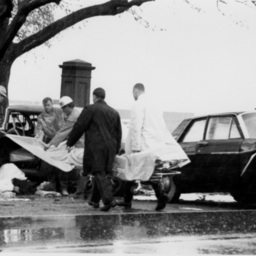 The crash was located at the Burgess Nelson house on the southern end of Mt. 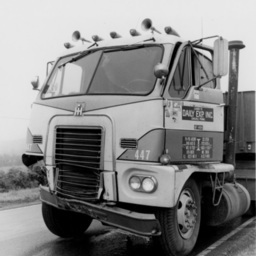 Jackson, the present site of Holtzman Oil Corporation. 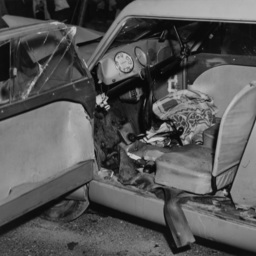 The date of the incident is unknown. 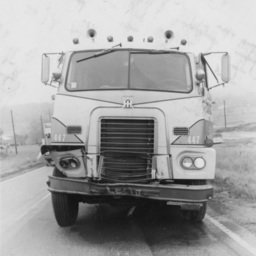 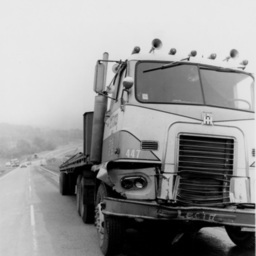 Photograph taken by William Hoyle Garber showing a vehicle crash on US Route 211 at the foot of the mountain near New Market Virginia. 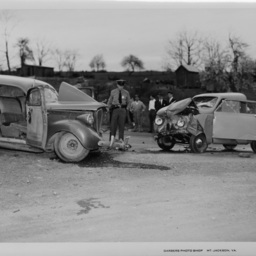 Photograph taken by William Hoyle Garber showing a body being recovered by Dellinger Funeral Home at vehicle crash at an unidentified location. 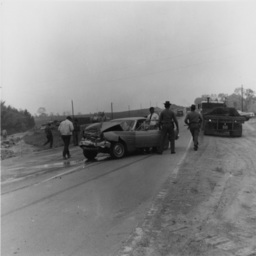 Photograph taken by William Hoyle Garber showing a vehicle crash at an unidentified location. 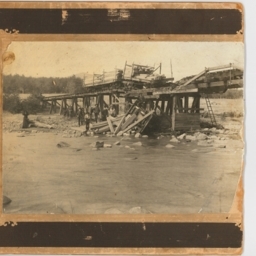 Photograph taken by William Hoyle Garber showing a vehicle crash at an unidentified location. 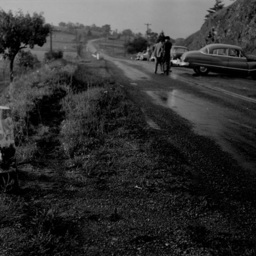 The photograph includes labels identifying three fluids coming from the vehicle as being blood, gasoline, and beer. 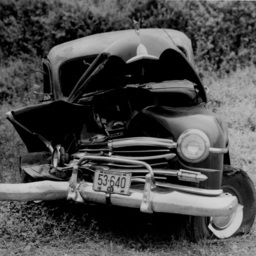 Photograph taken by William Hoyle Garber showing a vehicle crash at an unidentified location in 1951. 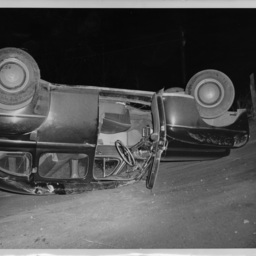 Photograph taken by William Hoyle Garber showing an overturned vehicle at an unidentified location. 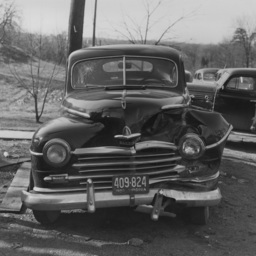 Photograph taken by William Hoyle Garber showing a vehicle crash at an unidentified location in 1950.